One family’s extraordinary experience suffering the wrongful imprisonment of Japanese Americans during World War II creates familial turmoil in a troubling time of a nation at war. Young Sam Kimura enlists in the army to prove his family's loyalty, while his sister, Kei, joins the draft resisters fighting for the rights of their people. Their divisiveness threatens to tear them apart forever. But as long-lost memories are relived and a new perspective is gained, Sam finds that it is never too late to forgive and experience the redemptive power of love. The story was inspired by the true-life experiences of George Takei (Ensign Sulu in the original 'Star Trek' television show) who was interned in a detainment camp at the age of 5 with his family. 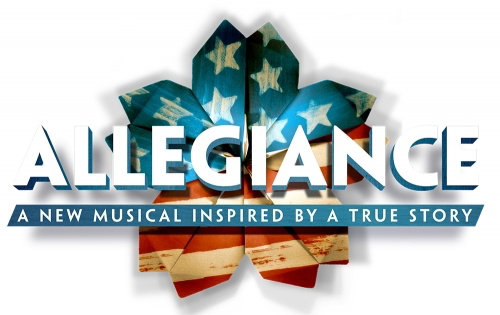 Allegiance was presented on Broadway in the 2015-16 Season. It enjoyed a limited run revival in Los Angeles in 2018. Allegiance is a musical drama which is performed by a cast of 9 men and 6 women. Some performers play multiple roles. Initial onsite auditions will consist of singing and dancing. Selective readings may be held at initial auditions if time permits, or may be held at later callbacks. For singing, please prepare a song which shows your voice in its best light. For Kei: high belt with ability to switch easily to head voice. Young Sammy and Frankie: tenor with easy top to A4. For dance, you will be taught a combination from the show. Please wear appropriate clothing and shoes for movement and dance. It is strongly encouraged that you read, listen to, and be familiar with the show. Perusals are available to study onsite at Manoa Valley Theatre during regular business office hours. can be either a ballet or jazz pirouette. This production by Manoa Valley Theatre will be a professional, non-union show. The following roles are in the show. All roles are available. ASIAN MALE - SAM KIMURA - elderly, a WWII hero. Also plays OJII-CHAN, his grandfather. Additional doubling will be assigned after casting. All performances will be held at Hawaii Theatre. Rehearsals will be held at `Iolani School, 563 Kamoku Street, and other spaces as required. The rehearsal schedule will generally be Mondays through Fridays from 6:30 to 9:30 pm, and Saturdays and Sundays as necessary. A unique schedule will be crafted once casting and actor availability is known for possible rehearsal outside of the above hours. Cast members will receive an honorarium for participation in this production. This honorarium is not an offer of employment. Please note: MVT will be aspiring to Broadway artistic standards for this production, and seeks performers who will make the commitment to that goal. Rehearsal attendance and home study are very important. Paul Mitri (Guest Director) has worked on more than 175 productions as an actor, director, playwright, fight choreographer, dance choreographer, videographer and producer. He is the Head of Acting and a Professor of Theatre at UHM’s Department of Theatre and Dance, and recently served as chair of the department. He is also artistic director of ATWS Theatre Company, and received multiple Po‘okela awards for acting and directing. His past MVT directing includes Duck Hunter Shoots Angel,The Elephant Man, RENT, Spring Awakening and The Full Monty. Kip Wilborn (Guest Musical Director) has appeared as a leading tenor with opera companies and symphonies around the world, and has also enjoyed success in both film and Musical Theatre. He previously directed MVT’s production of Closer Than Ever and musical directed its It Shoulda Been You and Boys On Broadway. Kip performed lead roles in the Hal Prince productions of Showboat and Phantom of the Opera. In Honolulu, he appeared as Jean Valjean in the PTW production of Les Misérables, in the title role in HOT’s production of I Pagliacci, the title role in Chaminade University’s Sweeney Todd, and Don José in HOT’s Carmen, among others. Christine Yasunaga (Guest Choreographer) has danced on Broadway in the Original Cast of The Lion King, The King & I, the pre-Broadway production of Flower Drum Song and Radio City Music Hall’s Spring Spectacular. She has a B.A. in Dance from UCLA and is currently choreographing the newest Waikiki show, “Waikiki’s Rockin’ (Guest Choreographer) has danced on Broadway in the Original Cast of The Lion King, The King & I, the pre-Broadway production of Flower Drum Song and Radio City Music Hall’s Spring Spectacular. She has a B.A. in Dance from UCLA and is currently choreographing the newest Waikiki show, “Waikiki’s Rockin’ Reception”, as well as “The Dukes of Surf”. She has received six Po’okela Awards for her choreography at DHT. Scripts are available for perusal on premises at the Manoa Valley Theatre business office, 2833 East Manoa Road, between 9:30 am and 5:00 pm, Mondays through Fridays. For more information, please contact MVT at 988-6131 or businessoffice@manoavalleytheatre.com.